The English language, while the most widely-spoken Germanic language, is also one of the most complex. Full of contradictions, synonyms, homophones, and idioms, it certainly takes some practice to pick up its context. It stands to reason that as words are commonly used out of their normal context, their meanings start to shift over time. Here are some commonly-used words whose meanings are completely different today than many years ago. Today’s usage of the word “merry” is meant to convey a feeling of cheerfulness or joyousness. Originally, the word meant “short.” Centuries ago, it was synonymous with the word “brief,” in reference to something pleasant happening in a brief moment. Oddly enough, the old English word for short meant “sliced off,” so “merry” meant “short” as we know the meaning today. The modern-day meaning of “dinner” is one that nearly everyone can appreciate. It refers to an evening meal or the main meal of the day. The earliest meaning of the word came from the French word “disner” that referred to the Latin word for breakfast, disjejunare. The meaning naturally shifted in part, because breakfast used to be the main meal of the day or the meal in which the overnight “fast” was broken. In many English-speaking countries, dinner is now the largest meal of the day. “Fine” is one of the peculiar words in the English Language that means several different things, depending on the context. For example, it is used as a reply to the question “how are you?” as well as a noun meaning a “payment for an infraction.” In its origins, “fine” was derived from the French word “fin,” which means “end.” Today, the original meaning has shifted over time to mean something that is the “ultimate” or of the highest quality, indicating that the item has reached the highest end of the quality spectrum. Long ago, young knights were called “bachelors.” They were still apprentice knights and the lowest rank in knighthood. As time went on, the word came to mean the lowest level of student or degree at a college or university and is still used to refer to Bachelor of Arts and Bachelor of Science degrees. Its other common meaning of “an unmarried man” still holds true today and has been a well-known definition for centuries. A flirt, as is commonly understood today, is someone who toys with or teases someone in a romantic way. Over five centuries ago, “flirting” was making a quick or sudden movement with a fan to draw attention. The word “guy” is an eponym--or a word that is named after a person, place or thing. It draws its original meaning from the name of Guy Fawkes, who tried (unsuccessfully) to blow up Parliament in the early 1600s. He was hated by the general public, so his name became a synonym for someone terrible or nefarious. It was a true insult. Today, the term refers to men in general--nefarious or not. Years ago, a clue (also spelled “clew”) was a ball of yarn. The modern-day meaning of a hint or guide to help solve a puzzle may have come from the idea of unraveling a ball of yarn bit by bit, much as one would unravel a mystery clue by clue. A fathom used to be a measurement that was classed by encircling one’s arms around something. It is still related to a unit of nautical measurement for the depth of a body of water, but its more common meaning is to “fully understand after much thought.” The sea has always been a bit of a mystery, so perhaps the idea of measuring how many fathoms deep the sea may be is what spurred the idea of understanding the depths of a complicated subject or concept. The word “fizzle” used to be a polite way to refer to the act of creating quiet flatulence. Over time, college students in the United States shifted the meaning to the act of failing at things. Originally, the word “cute” was a shortened version of “acute” and referred to something or someone who was sharp or quick-witted. In the 1830s, Americans started using the word as a synonym for “pretty” or “attractive.” It also reflects a hint of its former meaning in phrases like “stop being cute” or “don’t play cute with me,” implying that someone is attempting to be sharp-witted at an inappropriate time. One of the most misused words in the English language, “literally” used to mean something that was “true” or “actually happening.” Today, it is used as a form of hyperbole, with phrases like “literally starving to death” when someone just needs a small snack or “literally raining cats and dogs” during a heavy downpour. Because the word has suffered so much misuse, the Oxford English Dictionary has amended its definition of it to include the hyperbolic version. “Nervous” is derived from the Latin word nervosus, which means “sinewy or vigorous.” It used to refer specifically to someone who suffered from a nervous-system disorder and was under the care of a physician. Today, it describes anyone who is easily startled or experiencing a feeling of anxiety. As society continues to take liberties with the English language (intentionally and by accident), it will be interesting to see how these, and other commonly-used words change form over the centuries to come. Its common knowledge that English is a strange language. It has a lot of rules that contradict themselves that also have a lot of exceptions. Grammar is all over the place and proper pronunciation often doesn’t make sense. If you are not a native English speaker it can be a difficult language to learn. With all the rules and nuances, there are a lot of words that can be tricky to spell. Here are some of the most commonly misspelled words in the English language – and some tips to remember how to spell them! This word is not pronounced exactly how it looks so spelling can be tricky. Just remember that it makes “sence” to spell it with an E! The ending of words like “acceptable” are often confused with “ible” as it sounds similar when reading out loud. Just remember to “accept” the “table” that you are being offered. Double consonants can be hard enough to remember, forget two in the same word! Just remember that this word is large enough to accommodate two C’s and two M’s. Remember that both Ds are being delivered to the same address. Having your own “ally” is a “basic” part of life. Many learn from a young age to remember that I comes before E except after C. Believe is a word where this rule applies. The confusion here often comes from the E. Remember that “change” keeps its E and thus makes the G soft rather than hard. Column is not the only word of its kind in the English language, just remember that although it may not have an obvious purpose… a silent N after an M is common. This one is simple – don’t let yourself be conned by a “science” nerd! Often confused with defiantly. Remember that Definitely carries its silent E with it wherever it goes. This is another long word – long enough to fit two Rs and two Ss without getting squished. When adapting to a new environment, you may have to “iron” out some kinks. Putting two A’s in the same word can be an exhilarating experience! This word breaks the I before E except after C rule – what a foreign concept! Take pity on the poor R in this word… it is so weak that it needs an O on either side of it in order to stay standing. Don’t spell this word with an “ence,” that would be downright ignorant! Remembering the two L’s and the “ence” ending are signs of great intelligence. The confusion with this word often comes in the beginning, where the E and I are mixed up. Just remember that you do not have to tell a lie to experience some leisure. Often confused with “loose.” Lose the extra O and spell this word right every time. “Main” and “tenance” are the primary tenants of this word. You will hear lots of neighing from next door if your neighbor has a horse farm. The Es in this word are only able to persevere until the last syllable, where the A takes over. Don’t take it personally that this word needs two Ns! This word is in possession of more S’s than most hissing snakes! When something rhymes, it has a nice rhythm – these words go well together at times. Remember that a secretary will always keep your secret! You must write this word with an A after the E whether you like it or not. This is one of the weirdest exceptions to the I before E except after C rule. If you’re a logophile, or word-lover, then you know that there are few greater joys than completing a crossword puzzle. The clever mix of clues and cunning use of simple and play-on-words answers mean you can spend hours lost in thought and word definitions. If you’re one of the millions of people who love spending Sundays with the New York Times’ Crossword Puzzle, the next time you want to flex that puzzle-solving muscle, consider making your own. 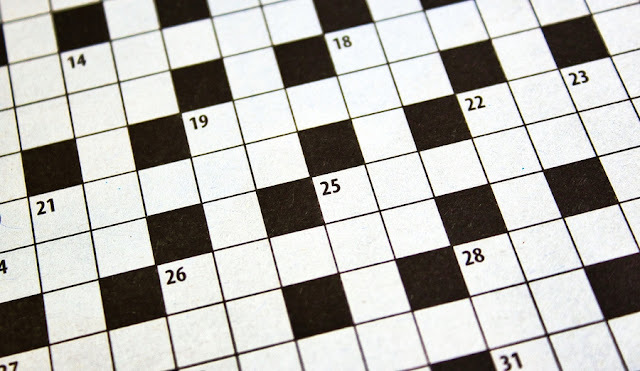 Here are six steps to creating a great crossword puzzle. The first step in making a crossword puzzle is choosing an audience. You’ll make a very different kind of puzzle if your audience is kids, college students, adults or industry-specific employees. The audience will influence the level of difficulty, theme, answers and clues. If you want to try and sell your puzzle to a specific publication, make sure you are familiar with the types of puzzles that publication usually includes. With your audience in mind, choose a theme that will link the answers in the puzzle. It can be something as simple as “house.” This theme would then guide the creation of the puzzle, meaning the long answers in the puzzle would have to do with parts of a house. You can be more creative than this too, but when first starting out it’s easier to keep your theme simple. The best themes are narrow and consistently applied throughout the puzzle. Another common way to choose a theme is to pose a question. The answer to the question would be made up of the longer answers in the puzzle. With this kind of theme, sometimes people are able to answer the thematic question before they can solve the individual clues. You can draw inspiration for the theme from your favorite puzzle makers, everyday objects around you, subjects you’re passionate about or even your kids. As you brainstorm about your theme, list all related words that come to mind and their letter count. This will help later on with answers. One caveat to this step is that not all crossword puzzles have a theme. However, picking a theme will make the other steps easier. Themes also make the puzzles easier and more enjoyable for your audience. Once you select a theme, the next step is setting up the grid. The grid is the mix of black space and white boxes where your audience will fill out answers across and down. It’s best to start small and then work your way up to more complex grids. In general, grids are symmetrical, but some puzzle makers get creative and use grids that look like animals or other shapes. Of course, you don’t have to follow the New York Times’ example. As you work on crosswords yourself, take note of the layouts of those puzzles. Try out different layouts and see which one you like working with or is most appropriate for your desired audience. The next step is creating the answers. Yes, you decide on the answers before you come up with the clues. This may seem counterintuitive, but it is how you ensure that all of the words will fit into the grid. It can also be fun to try and work in a “marquee answer” or an answer that is a new phrase, something relevant to the news or pop culture, etc. You can also try to work in secret messages in your puzzles too for additional fun. There are autofill programs that can fill in the grid for you, but it’s more fun to come up with the answers yourself. Writing clues is probably the hardest part of the puzzle. While you can put straightforward clues such as “equipment used in baseball” for a three letter answer of “bat”, the real fun of crosswords comes from making the person solving the puzzle really think. You want the person working on the puzzle to spend enough time solving the clues so that they feel clever and smart when they figure out the answer, but not so long that they get frustrated and abandon it. Clues should be entertaining and witty and make liberal use of gimmicks and wordplay. If you are trying to come up with a new word or definition, check out WordsAPI. Our tool can help you find related words, definitions and more with our easy to use API for the English language. It’s a fun way to play with the English language – something that every great crossword puzzle maker does. After you’ve developed a knack for writing clues, you can then advance to the New York Times’ standard of never repeating a word in the answers or the clues. With a draft of your theme, grid, answers and clues complete, take time to review your puzzle to see if anything can be tightened up or made more relevant to the theme. Let a friend test it out and ask for feedback. Also, be sure to fact check your clues. Even if a clue and answer come from your area of expertise, it’s always good to double-check. No matter your motivation – for fun or for publication – you can start working on designing a great crossword puzzle today. If you love the English language and playing with words, making puzzles is a fun and easy way to indulge in this passion. Making puzzles can also help you build skills to complete puzzles more quickly and easily. With a better understanding of how puzzle makers think, you’ll be better able to intuit answers and solve clues. As with any new skill, it’s best to start small and gradually increase the complexity of your puzzles. As you make and complete more puzzles, you sure to become a cruciverbalist in no time. Have you ever made a crossword puzzle? What tips and tricks can you share? Approximately 1.5 billion people, roughly 20% of the world’s population, speak English. Only 350 million or so are native speakers, meaning the remaining 1.15 billion learned it as a foreign language. It’s the most widely studied second language and the default common language for many international businesses and travelers. While these figures make it seem like it’s easy to pick up the language, many learners will probably beg to differ. English has many oddities that make it one of the harder languages to learn, despite how widely it is spoken. There are many methods for learning languages. Classroom instruction tends to focus on learning grammar, spelling and pronunciation rules. As students learn one word, it’s only natural that they would apply the same rules to a similar looking word or similarly-structured sentence. This might work in some languages; English is not one of them. 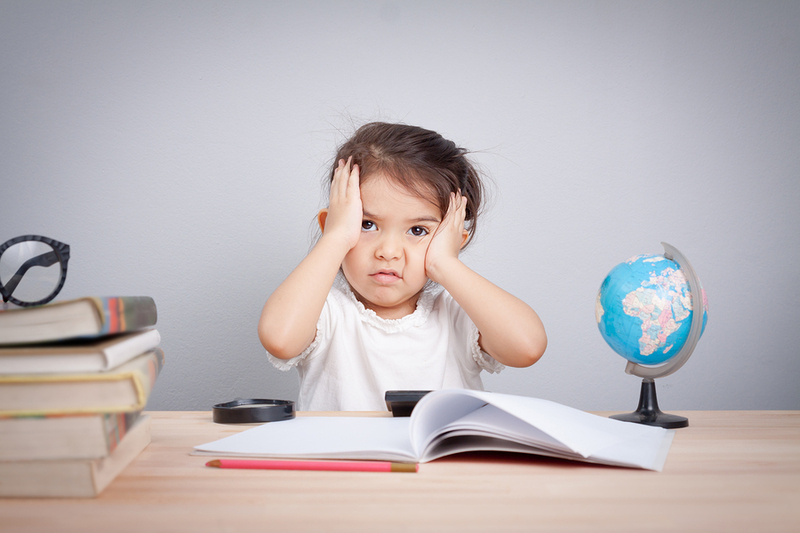 No matter which method learners choose, they could benefit from keeping these quirks in mind. These inconsistencies can make it harder to deduce the meaning of a word. While a new English speaker may understand part of the word, this does not necessarily mean that the speaker will grasp the meaning of the full word. English also has a long list of homophones, homographs, homonyms, heterographs and multinyms. Most native English probably don’t know these terms, but they are familiar with the words. Multinyms: same sound, two or more different spellings and meanings, ex: raise, rays, raze, etc. How do you explain these differences, and so many more, to students? ESL students probably hear the phrase, “that’s just how it is” more times than they care to. While English has some spelling rules such as “I before E except after C”, these are quickly violated as soon as a student learns the words science and weird. One grammarian says that only 44 words actually follow that rule while 923 don’t. Another rule is that plurals are created by adding an s or es to the end of a word. But alas, mouths contain teeth not tooths, more than one mouse becomes mice and more than one moose becomes…moose. In theory, spelling also affects pronunciation. However, English also has a lot of silent letters. In knife and gnome, for example, the first and the last letters are silent. There are also letter combinations that can lead to wildly different sounds. Take trough, rough, bough and through for example. In many situations, English is just not phonetically consistent. Again, with these exceptions, learners are often told that they just need to memorize the different spellings and pronunciations. Sometimes English verb conjugation is considered easy to learn because there generally aren’t different spellings depending on the subject. For example, I go, you go, he goes, we go, they go, and for past tense I/you/he/we/they went whereas the equivalent in French would have multiple spellings. In general, the past participle will be formed by adding -ed or -d to the end of the word. For example, to face becomes faced and to live becomes lived. But of course, there are irregular verbs and exceptions. There may be general rules that learners can follow, but there are likely just as many, if not more, exceptions that they will have to remember as well. English can also be a little peculiar when it comes to word order. In general, most sentences will follow a subject – verb – object order. However, depending on the word, adjectives and adverbials can fall in multiple locations in a sentence. For example, one can say I ate quickly or I quickly ate, but one can only say I stayed long not I long stayed. A common grammar mistake even among native speakers is the use of apostrophes. They can be used as a contraction where he is going becomes he’s going. However, they can also be used to denote possession. Instead of saying the toys belonging to Sarah, speakers simply say Sarah’s toys. The exception to using an apostrophe to denote possession occurs with the word it. Native speakers will likely be forgiving of this error as non-grammar-lovers make this mistake frequently themselves. English can be hard to learn. The rules all seem to have exceptions and there’s a lot about the language, its spelling, pronunciation, grammar and more that doesn’t quite make sense. But people who want to become fluent in this global language shouldn’t get discouraged. Its popularity also means that there are ample resources for helping students learn. WordsAPI, for example, is an online source to find definitions, synonyms, antonyms, word hierarchies and much, much more. We've just finished making some changes to our backend, and most responses are now 70% faster. Let us know if you run into any issues!